This article is an interview with The Positive Vet Nurse. 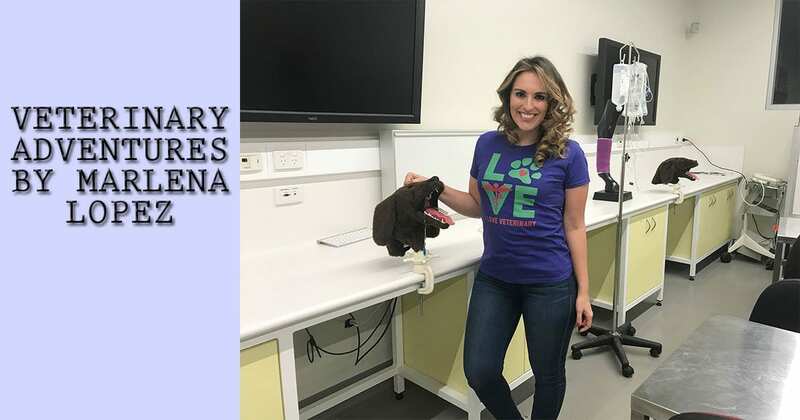 Read on and learn more about Elle Payne and her project about mental health awareness in the veterinary community. 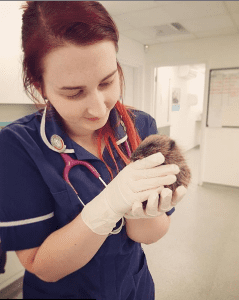 My name is Elle Payne, I am 24 and I am an RVN working in first opinion practice in Nottingham. I have two hamsters called peach and whiskey, both rescued. 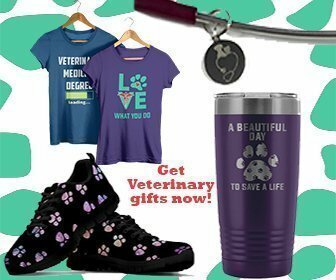 I always wanted to be a vet nurse at a very young age as I love animals. What does your veterinary work include at the moment? At work, I mainly monitor anesthetics, do lab work, consult (this is my favorite role) and care for inpatients. I can also do schedule 3 procedures such as dental scale and polishes and stitch-ups. 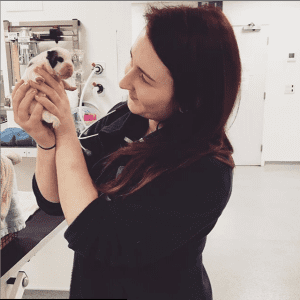 We love your Instagram blog The Positive Vet Nurse! How did you decided to start this project? Tell us a bit more about it. 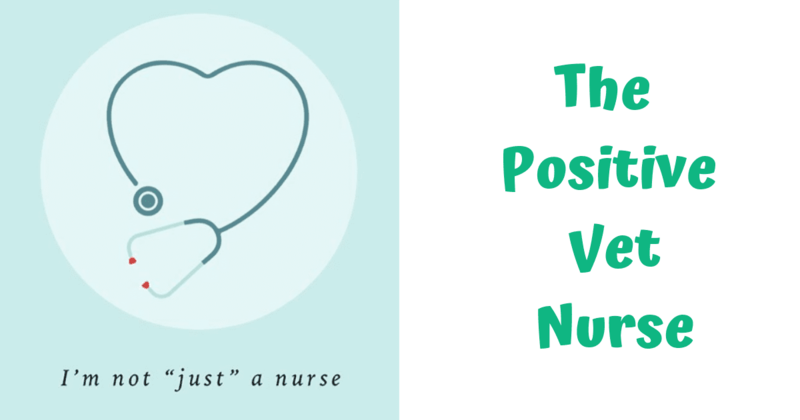 The positive vet nurse page started around a year ago when I was going through a difficult time in my life with depression and was seeking therapy for it, I had also lost a friend of mine to suicide. I decided others needed support and help and used this as a coping mechanism for me, to keep myself busy but also to care for others. I didn’t think it would be so popular but knowing that it helps at least one person makes me happy. How often do you encounter veterinary professionals with burn out, depression, anxiety because of their profession? On a daily basis! It is underestimated how common this is and it is a problem.. this is why I have made a survey to see why this might be. The best advice I can give is “talk to someone”! Get help whether that is seeking a GP, referring to therapy (cognitive behavioral therapy/ counselling etc) and speaking to friends or family. Whatever the problem is, there is always someone who feels the same somewhere in the world and definitely someone who understands, there are incredible help lines such as Vetlife who are always willing to help. Please share what is the purpose of your survey and tell us a bit more about it. 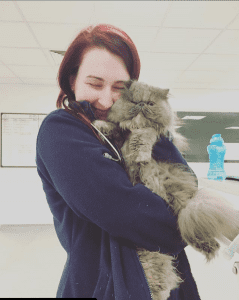 The purpose of the survey is to see if there are any links between mental health issues and working in the veterinary profession, and if so why is this happening? I am going to interpret all the results I find and structure it into an article which I am really excited about! 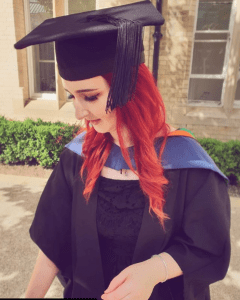 Do you have any advice for the future vets? Ensure you are looking after yourself, don’t work to hard! Make sure you spend time doing things you love doing outside of work such as spending time with loved ones or doing a hobby. Always remember to speak up about how you feel and get help if you need it! Your feelings are always valid. My goals are to continue working in practice whilst doing my Instagram page and creating published work. I would love to do the vets now ECC course! 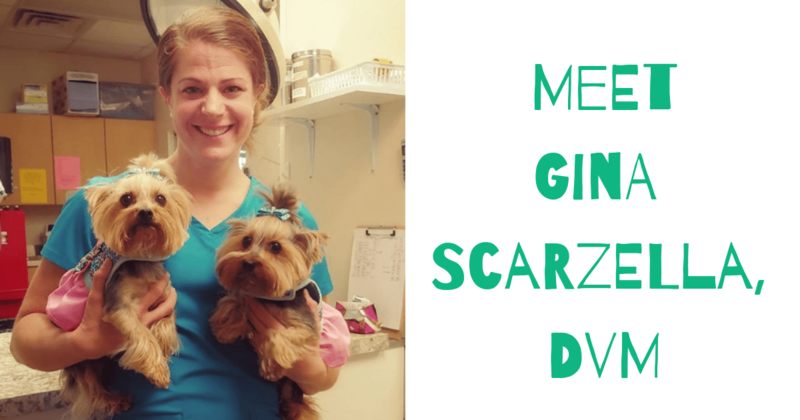 Read more INTERVIEWS with veterinary professionals on our blog. 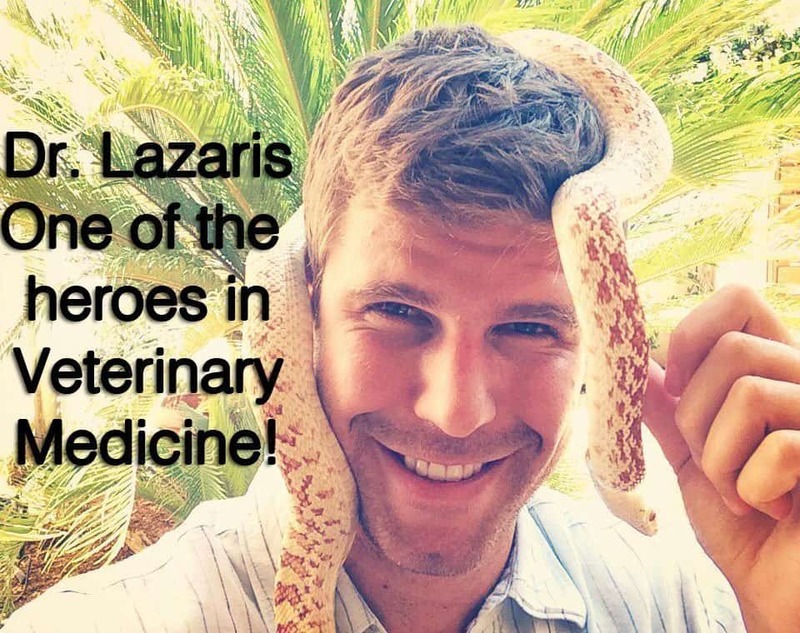 Dr. Lazaris- One of the heroes in Veterinary Medicine!